Output anti-anti-irrigation protection: None, the output must be connected to the battery plus blocking diode, otherwise it will burn the module. Charging indicator: charging red, bright green when fully charged. Turn lamp is the output current detection. It can support high-power LED. It can power supply for electronic devices. For a variety of battery charge, can observe the state of charge. 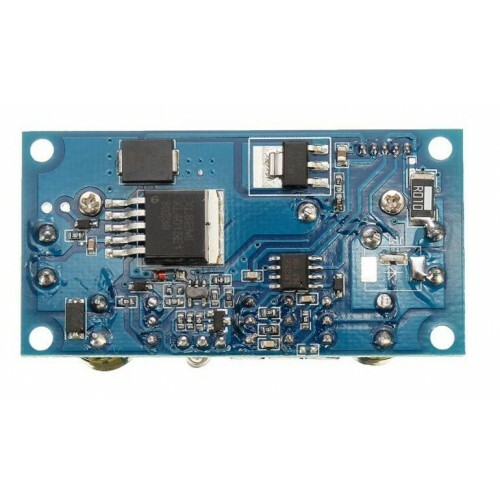 As a car power supply , it can for your cell phone or digital products supply. DIY a voltage Regulator, with constant current function, Short-circuit proof, can protect the load. Charger for all kinds of batteries, with MPPT function, can enhance the charging current to double. With a constant current and prevents battery overcharge, effective protection of the battery. Note: The module's current detection is low-end detection. Please do not short the input negative and output negative directly with wire. set the turn light current instructions: set the output voltage, the CC potentiometer counterclockwise 20 laps or so, with a multimeter 20A current file short-circuit output, adjust the CC potentiometer to you need to turn the lamp current, Light electric potentiometer, transferred to just light green so far. 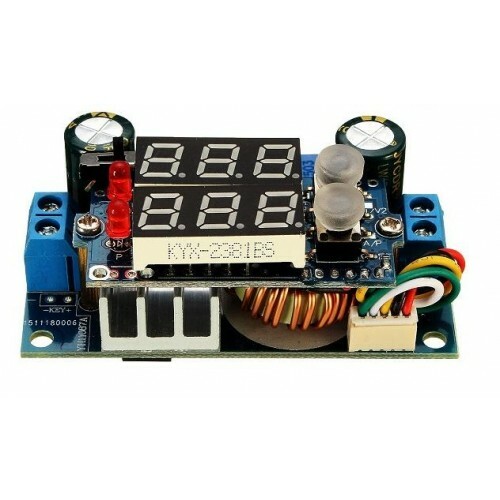 Set a constant current value: tune the turn-on lamp current, the multimeter 20A current file is still short-circuit output, (with voltage, ammeter direct wire short-circuit output can) adjust the CC potentiometer to the current value you need to set. (When using the short-circuit method to set the output current, the actual charging current will be smaller than the short-circuit setting current, the battery should have the remaining voltage, if you want to set the exact charging current, please use the battery connected to the output And then set the output current.) Note: constant current set when the voltage is higher than 1.25V, otherwise the constant current function will be invalid. 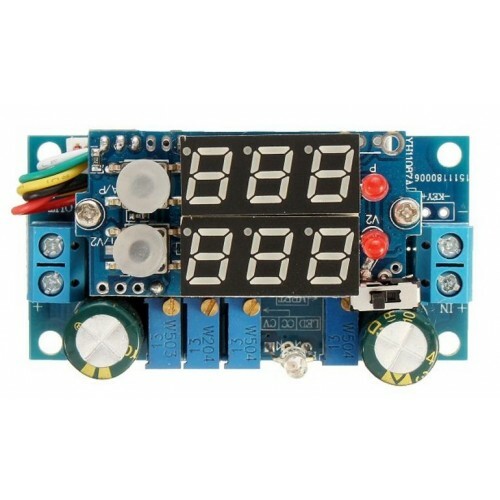 with adjustable power supply set method: the adjustable power supply to set the voltage value (such as 18V), the output is not connected to the load, the module has an output voltage, counterclockwise MPPT Set the potentiometer to the output voltage just lower the critical point can be. You can also adjust the output current by adjusting the MPPT value, the multimeter current range between the output and the load (with the head of the switch can be switched to the current display), call back MPPT potentiometer to the output current to the maximum. Note: When using solar panels to adjust the MPPT value directly, when the power of the solar panel is greater than the load power, please block some of the light on the board to reduce the solar panel power, so as to adjust the MPPT value. 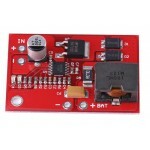 12 volt MPPT Solar Charger ModuleMPPT 12 Volt 2 Ampere solar charger Module This is a 12 volt 2..